What is the difference between a marsh and a bog? Come to explore with us! Pääsküla bog in Tallinn is around 5000 years old. Autumn is the best season to visit it – the reasons are cranberries, migrating birds and plants in beautiful autumn colours. 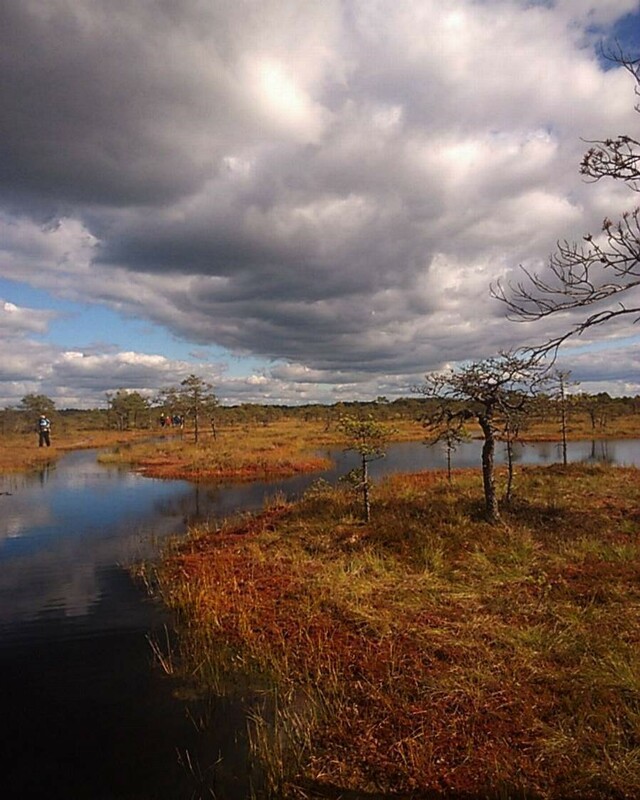 During our walk with a professional guide we will hear more about ancient beliefs and legends, we will see carnivorous plants, peat holes and traces of beavers. At the end of the tour we will climb the watch tower and admire the view from there. We will meet at 9.20 at Vabaduse väljak bus stop (at Pärnu mnt., near Jaani church) and take the bus No 18 to Hiiu. The trip lasts around 2 hours and is 7 km long. There is a flat wooden path, however, comfortable shoes and appropriate clothing is required. The walk ends at Männiku, we will take the bus No 5 back to town.